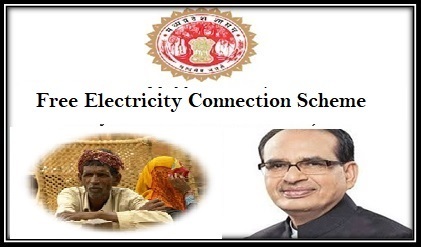 Chief Minister of Madhya Pradesh Shree Shivraj Singh Chouhan has announced about a new scheme for the poor people of the state. Soubhagyavati Scheme will be useful for the people who don’t have access to electricity. To light up all the homes across the state the scheme has been announced. Chouhan, in Antodaya Mela held in Shivpuri District, has announced about the scheme. Alongside he has mentioned about 180 development projects and schemes in the state for the inhabitants. Objective of the Scheme: Under the Soubhagyavati Scheme, poor people will get electricity. The main feature of the scheme is that, the poor people will have to pay a fixed amount every month. Using of power will not affect the monthly electricity bills. Need for the scheme: The state authority is keen to provide a better life to all the people in the state, especially people from remote rural areas. This scheme will be another step towards providing electricity to those who are living in dark. Implementation: There will be sub-stations for the electricity connections in several places such as Kutwara, Kilawali, Madvasra, Akgiri, Deharda Ganesh and Ejwara. Through these stations power supply will be made. More details will be announced later. Other projects: Apart from this scheme CM has stated about other projects like schools will be starting in Kupwara area and colleges will be starting in Rannod area. Also Nal-jal scheme which was stopped earlier will soon be starting in Rannod. During the Vikas Yatra as well as Antyodaya Mela, CM has addressed more than 47 thousand beneficiaries of various schemes. He has distributed sum of Rs. 56.32 Cr to those beneficiaries on the spot. He has also stated that 180 more development schemes will be launched which will cost Rs. 144 Cr in total. Charan Paduka Yojana for the tendu leaf collectors will soon be starting during the last week of the month January 2018. Other than that, free gas connection, Ujjwala Yojana, Provision for Sahariya women and so on will also be launched soon in these remote areas. He made sure that Mahua flowers will be available at lower price along with Achar chironji, costs Rs. 30 per kg and Rs. 100 per kg respectively, but there will not be selling any type of liquor in the state. The main agenda of starting up so many schemes is development of the state. According to Chouhan development in such core areas is as important as in urban areas. With all these schemes people living in these areas will get much better life than earlier. DIST–(n) 24 pargona. West bengal. Pin–700128.